Special Correspondent ● Kolkata: The city once witnessed the intensity of love and dreams with a handful of youngmen challenging the conventional form of life and literature decades ago. That was the beginning of publishing of the historic Krittibas poetry magazine by Sunil Ganguly, Dipak Majumdar and Ananda Bagchi. Later, greats like Shakti Chattopadhyay, Sarat Kumar Mukhopadhyay and Utpal Kumar Basu etc also got associated with the magazine. Krittibas was a poet’s paradise. Like every other Bengali little magazine Krittibas, too, has gone through several ups and downs. But none could believe that the journey that started in early 50s would ever end. 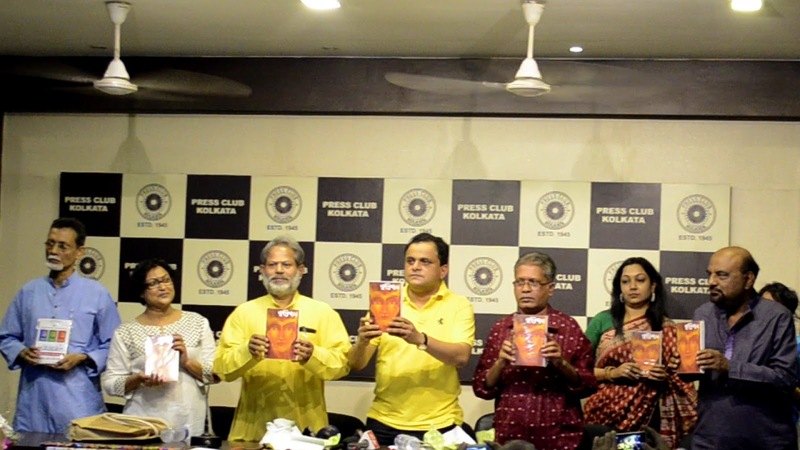 Amid such rumors and some reported disputes among the current members of the Krittibas magazine’s editorial team one of the leading Bengali publishers, Prativash, came up with the idea of carrying the legacy forward. Bijesh Saha, the head of the publishing company, stepped in and several poets have joined hands with him to make the project a success. The road to publish Notun Krittibas (new Krittibas) was not smooth at all. Many have criticised the initiative and questioned the authority and intention of it. But none could stop them. Finally, the inaugural issue of Notun Krittibas has been released at the Kolkata Press Club on Friday (06 November, 2015) afternoon. 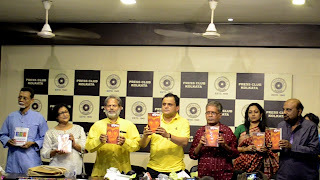 The magazine has been released by Tourism Minister and dramatist Bratya Basu, poet Subodh Sarkar and Rupak Chakraborty, Gautam Ghosh Dastidar, Sutapa Sengupta and Ballari Sen etc. Dignitaries like Debojyoti Mishra, Binayak Bandyopadhyay, Sudhangshu Dey, Amitava Samjpati etc were present there too. Inaugurating the magazine Bratya Basu described the initiative as a tribute to the legendary Sunil Ganguly and clarified that Notun Krittibas has no conflict with the older one. Poet Subodh Sarkar was, however, more direct in his approach. Questioning the intention of the critics, he refuted all allegations of dishonouring the legacy set by the historic Krittibas magazine and its members. He, in fact, expressed dissatisfaction over the present Krittibas establishment’s failure to utilise offers of leading publishing houses on running the magazine uninterruptedly. Not only young poets but many veterans also attended the programme. They were curious and enthusiastic about the venture. They all missed their very own Sunilda and strongly believed that he would have praised the initiative too if he was alive.